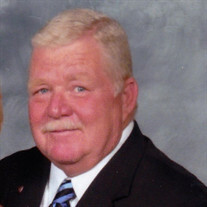 Melvin E. "Beau" Stouffer, Jr., age 69 of Shaker Hts., OH. Longtime companion of Connie Hanson. In lieu of flowers, contributions in his name may be made to Wags 4 Warriors, P.O. Box 41191, Brecksville, OH 44141. A Memorial Service will be held at 10am on Saturday, June 2 at St. Paul's Episcopal Church, 2747 Fairmount Blvd., Cleveland Hts., OH 44106.